Heart and Soul is probably the first tune you master as a beginning pianist. Even if you never advance to Mozart, those catchy notes linger in your fingertips for a lifetime and you can conjure them on the keyboard when you are 60 with the same alacrity as you could when you were six. The magnificent Marie personifies heart and soul—she was conceived with love and a profound sense of purpose and spirit. This lovely yacht was built, operated and owned by the Bosarge Family Office, a business enterprise in Houston, Texas, where Ed and Marie Bosarge are directors. She is a yacht to stand the test of time. “It is likely most of today’s ultra-modern sailing yachts over 50 meters will be outdated in 20 years,” designer Andre Hoek remarks. Not Marie. Her classic hull design with sensational sheer, long bow and stern overhangs, sweeping teak decks and sleek low profile invoke the “Golden Age of Yachting.” Moreover, she combines traditional aesthetics with a twist.“Marie embodies tradition and romance, but she is also a modern, comfortable high performance yacht,” says Ed Bosarge. 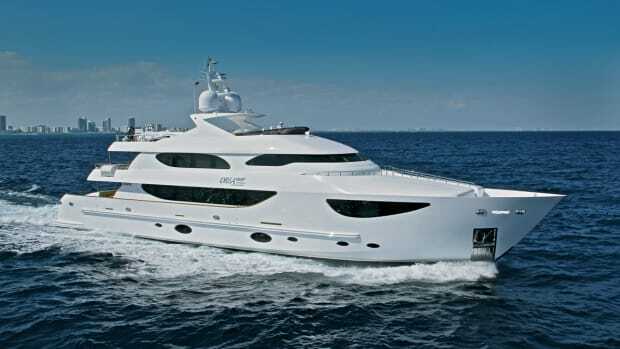 Marie, launched in the summer of 2010, evoked a heart-throbbing response last September at the Monaco Yacht Show and continued to woo onlookers in the Caribbean last winter. 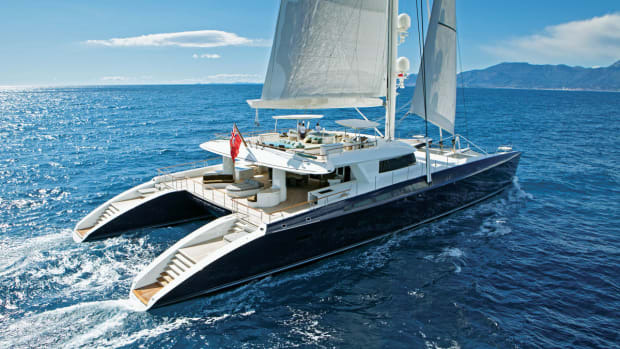 Marie is, by anyone’s standards, an enormously captivating yacht. It is patently clear to me that she was conceived and built with passion and precision. 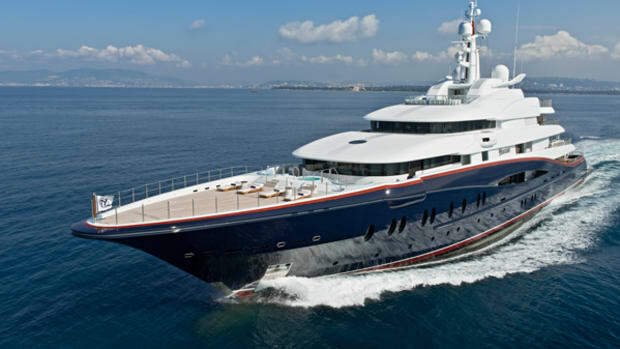 Built on time, on budget and delivered on schedule in merely two years—a remarkably short period of time for a yacht of her size and complexity—she represents the best possible confluence of a well-honed team. 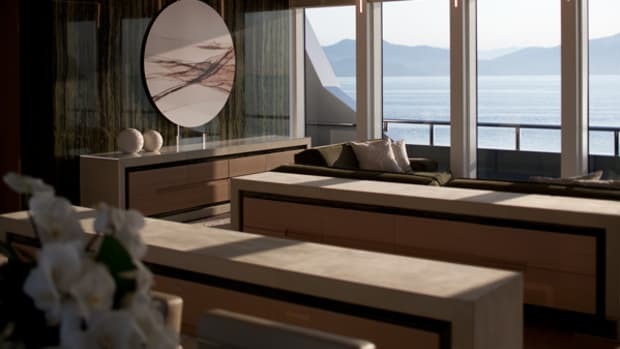 Naval architect Andre Hoek Design, builder Vitters Shipyard, interior designer David Easton Interiors and owner’s representative Nigel Ingram of MCM all agree that this build went remarkably smoothly. 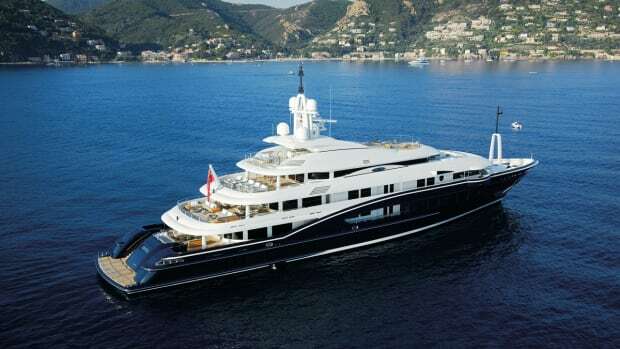 It was Jody O’Brien, a broker with Fraser Yachts and a trusted friend of Ed Bosarge for more than 30 years, who had the perspicacity to put this team together. 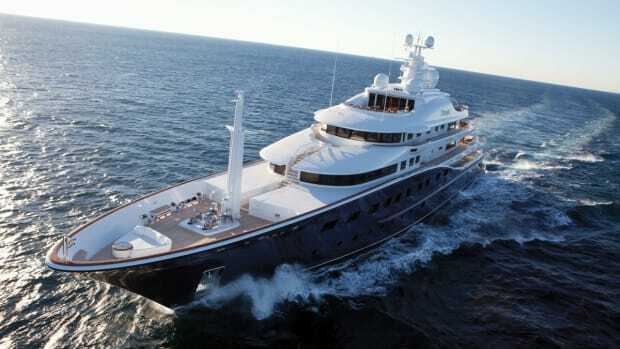 O’Brien sold Ed his 115&apos; yacht, Tenacious. One day, as the story goes, the Bosarges were merrily sailing aboard Tenacious with a group of friends known as the “Divas” making music belowdecks, as they often did. Marie Bosarge, a jazz singer and an actress, and her husband support the Divas World, an organization devoted to “enriching lives through the integration of music and thought.” The non-profit group provides scholarships to budding young musicians and presents free public performances, engaging local artists and renowned individuals from a wide range of disciplines, including authors, scientists, mathematicians, psychologists and even astronauts. When cruising, the Divas engage in daily improvisational music sessions that often culminate in a full-blown concert at the end of the week. Aboard Tenacious that day, the musical group began to feel thwarted because they only had access to a keyboard. “The sailing yacht Marie was conceived because we needed a large enough environment for a Steinway baby grand piano,” Borsage says. They continued to enjoy Tenacious until one day in 2007, the Bosarges caught a glimpse of the gorgeous 180&apos; Vitters yacht Adèle. They considered buying her, but the owner had no interest in selling. 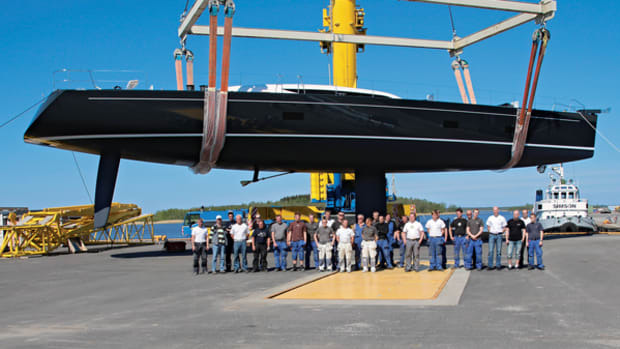 Plan B was for the Bosarges to build their dream yacht at Vitters in Holland using Adèle’s hull as a point of departure. 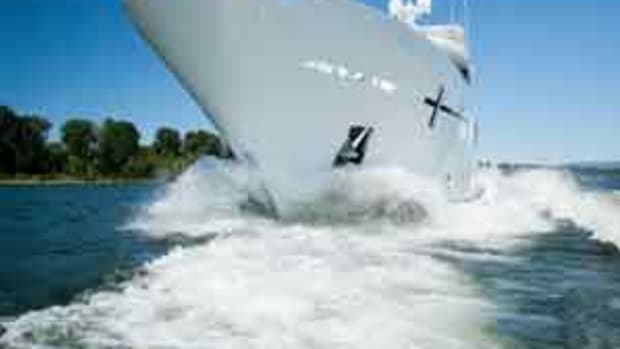 Bosarge is quick to point out that while the hull is the same, the two yachts are most definitely not sisterships. Vitters and Hoek agree that Marie is not only different from Adèle but also quite singular among today’s modern classics. 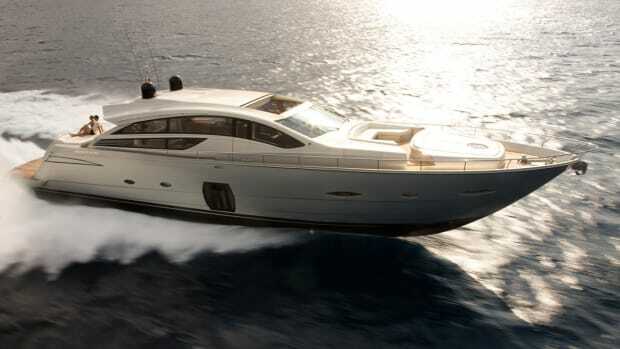 Unlike some other beautiful modern classics built in the last eight years, she is not a heavy displacement yacht but is comparatively lightweight. “All yachts are driven by their owners—what they want out of a build and what they are willing to put into the build,” Ingram says. Bosarge’s favorite expression during the build was that he wanted the boat to be “cutting edge, not bleeding edge.” He wanted a safe, stable yacht capable of cruising around the world, but at the same time, he wanted it to sail fast. Ingram says that “aluminum alloy in the hull is a lot better than it was five years ago and makes for a light but strong hull.” As owner’s rep he reiterates that there was no compromise in safety in favor of speed. “Onboard systems have evolved in part due to MCA regulations but also because builders don’t want to keep repairing them.” Hoek says that a lot of thought went into electrics, generator systems, hydraulics and a new steering system. Marie is a yacht that needs no comparison to any other, but what is important to this build story is the evolution that took place in the five years since Adèle was built. Marie boasts a vast diversified deck layout, an interior geared for concerts and state-of-the-art rigging. 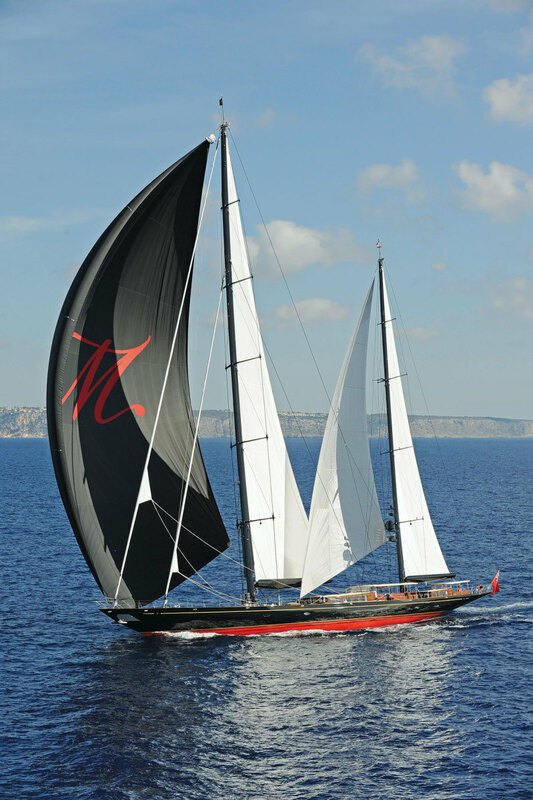 Marie’s hull, masts and boom are painted a polished high-gloss black. Bosarge says he had to convince Hoek of an untraditional black mast, and while Hoek had concerns over heat absorption, he eventually came around. The spars are built using hybrid modulus carbon fiber and the standing rigging is made from PBO fiber. According to Hoek, this lighter weight rigging versus rod rigging improves on the righting moment of the yacht and the masts stiffness and stability. Also instead of slab reefing, Marie sports an easier in-boom furling system. Hoek, Hamming and Ingram all concur that because they had worked on two previous builds together (Adèle and Erica), Marie benefited from a natural progression and improvement of systems. Ruurt Meulemans, technical director and partner in Hoek Designs, and Vitters’ project manager Eric Bos were hands-on during all three yacht builds. This was another plus in the efficiency of the build. As the saying goes, “third time’s a charm.” Whereas, Adèle’s hull was subcontracted, Vitters built Marie’s hull in house, giving the yard a lot more control over how the rest of the boat came together. Hoek says, “The exterior styling and details, went to a higher level, for example, with the joinery, the sides of the deckhouse have a solid edge which is rounded out and looks fantastic but is an imperceptible improvement to the untrained eye,” says Hoek. Also, one can’t see it, but the way the windows were placed was a new and improved method. The cockpit tables are better and more solid, and the additional outboard bench seats on either side of the cockpit, similar to those on old passenger liners, enhance the deck space. Everyone has a learning curve, and with Marie, the quality level has been ramped up. During the Superyacht Challenge Regatta in Antigua in late January, Marie’s captain, Wes Cooper, put the mizzen staysail up in 22 to 25 knots of wind, which would have been impossible on some sailing yachts. At one point, I saw the speed indicator flashing 18 knots. Allegro! We were cranking and the motion felt great as the hull sliced through 12-foot waves. Sailing is very much like music. There are highs and lows, and sometimes there is a frenzied crescendo. We had a well-orchestrated day. There were 32 of us aboard and no one was in anyone else’s way. The choreography of the deck space welcomes crowds, whether sailing or partying. Regarding the deck layout and interior, it was Bosarge’s idea not to have a forward deckhouse and to extend the main deckhouse five feet over the lower salon, which created a dramatically open and expansive interior salon. “The flow of the boat from cockpit down to the upper salon and farther down to the lower salon is like a waterfall. Everything is in rhythm and dances together,” says interior designer, David Easton. Many of today’s yachts are “overdone and hyperventilating, while Marie’s interior is anything but. She is light and contemporary with a warm honey-colored anigré that has a visual texture but is light clean and modern. Marie is a comfortable boat, both physically and visually,” he says. Easton’s firm designed all the furniture, sofas, tables and chairs to be in concert with each other. Marie Bosarge helped with fabrics and colors and added her personal touches in all areas, including the salons, the master suite and the three guest cabins. Easton and Hoek enjoyed a great working relationship. They worked closely on the VIP and dining room’s beautiful skylights, with Easton adding mirrors to the multi-dimensional Hoek design. Easton speaks affectionately about Bosarge, likening him to an eccentric 19th century English gentleman. Bosarge, a Texan, admits to being fascinated with European armaments, armor and cannons. He enjoys recounting the history of the art and artifacts that he personally obtained. Easton considers the cannons sculptures. But Bosarge has a rambunctious playful streak and he likes to fire them off at sunset. Friendly fire, mind you. Marie’s homeport is “Bloody Bay” and Bosarge designated a pirate motif, including a vivid red and black color scheme, for Marie. Marie for her part is gracious, charming and talented. She is an accomplished jazz singer and actress. She is also very humble and unpretentious. Right after they took delivery of Marie, the couple held a christening party in the historic port of Antibes. Friends attended from around the world. The Divas group produced an amazing concert on board with the famed New Orleans Delfeayo Marsalis jazz band. Up to 50 people went for a day sail each day, with a live concert on board at all times, while guests were taking trips up the rig in the elevator/ crow’s nest while sailing at 8.5 knots, under calm Mediterranean seas with 7 knots of wind.